So, it's definitely been a while since I've posted something that is solely style focused but here we are. The past year or so I decided to swap my splurging habits on new threads for flights instead and used any extra money I had to see the rest of Europe. This pretty much meant I had no extra pennies to change up my wardrobe so nothing new was coming in, which meant I didn't have much to show off. The past year, I've had to learn to recycle the clothes that I already own and fall back in love with them. It goes without saying that it's far more sustainable to slow down on building your wardrobe and recycling what you have. Whilst I still charity shopped from time-to-time, I found myself enjoying writing around and documenting my adventures more than talking about the latest pair of shoes I had added to my overflowing collection. Also, I've found my confidence has faltered and I'm struggling to pose for style shots in front of the camera hence why these shots may look a little bit awkward. 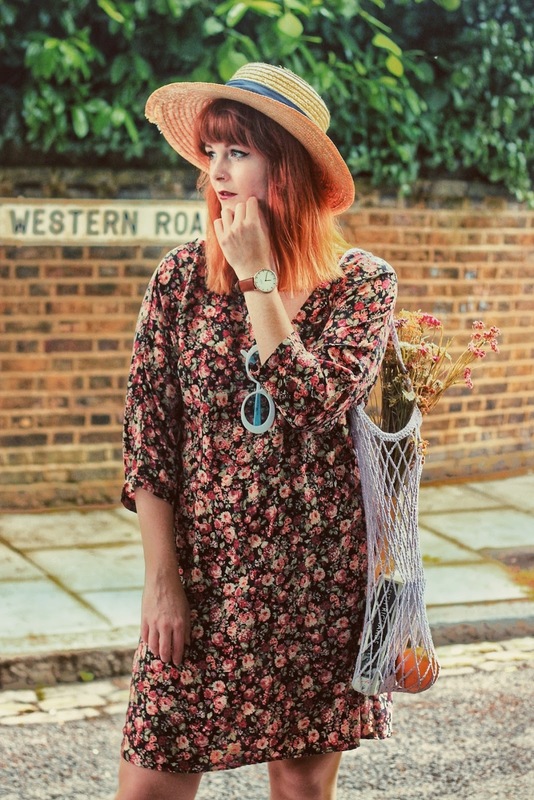 However, this little blog's foundation was built upon sharing my charity shop outfits and vintage finds whilst I was at university and strapped for cash so I'm welcoming back the occassional style post into the mix. After all, I'll never lose that love for thrifting secondhand bargains! Bag*: I Heart Threads Co. 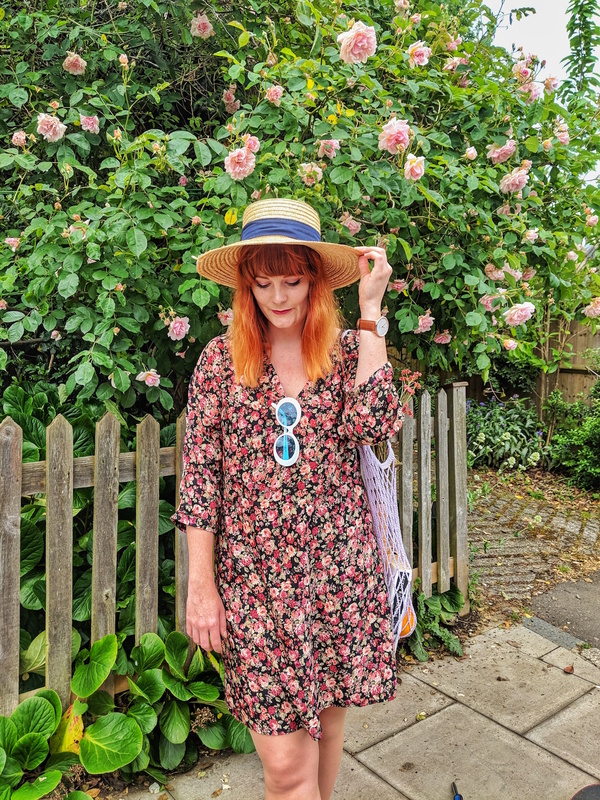 Both the floral dress and the straw hat actually happen to be charity shop finds although I found the dress a good few years ago and the Topshop straw hat a couple of months ago. 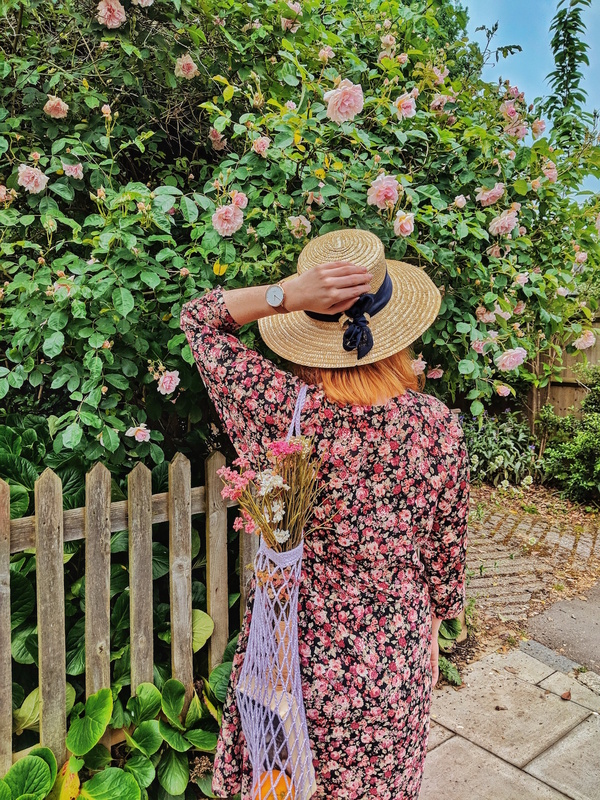 I've been yearning for the sun to show its face ever since I managed to nab the perfect £2 summer wide-brimmed hat so that I could don it in all its glory and finally the time has come! This little woven pal was made by an old pal of mine, Keighly, who has set up her own handmade business over at I Heart Threads Co. All of the materials used across all of Keighly's products are environmentally friendly, 100% vegan and she's committed to using recycled fibres wherever possible to reduce waste - sounds good, right? My latest timepiece is from minimalist, Scandinavian watch designers, Nordgreen. When it comes to simplistic yet chic design, no one does it better than Scandinavia and Nordgreen's collection of watches pay tribute to that. All of their watches are simple yet elegant making them really easy to style. I'm far from a minimalist and absolutely cannot pull of that effortlessly cool Scandi style, yet any of their watches would easily blend in with any of my more garish vintage outfits. Inspired by Danish values, Nordgreen are also big on social responsibility and have pledged to give back to the world. 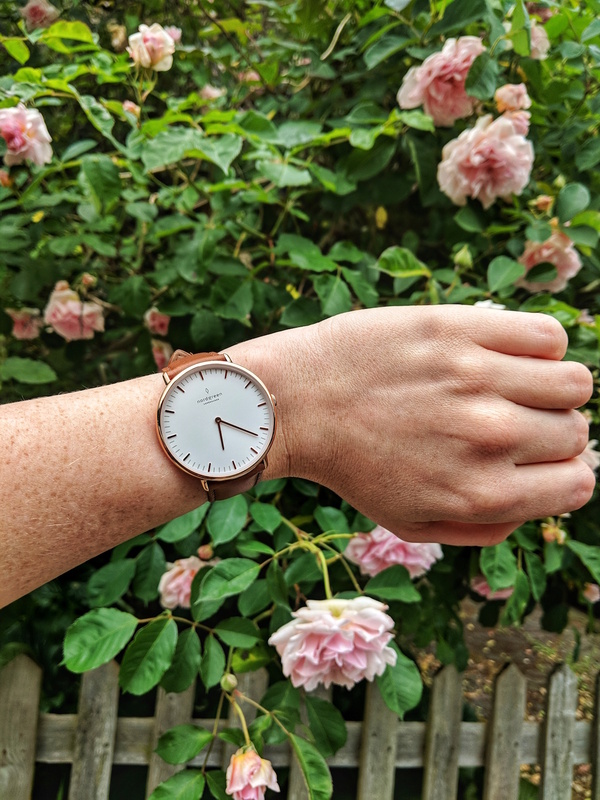 With every watch purchased, they will give back to one of three causes: health (providing clean water), environment (protecting the rainforest) and education (helping educate children in India). You can read more about their pledge here. Florals never go out of style. Great look!